quick controlled Cobra constricted takedowns to apply constraint. $37.50 DVD 215 video minutes Shaolin Temple Warrior Monk Quan-Fa Tiger and Cobra QI Meditative Pressurized Explosive Force Strikes executed in close quarter combat. Deadly assault Xingyiquan Ferocious Tiger devastating force quickly execute King Cobra constriction to explosive controlled takedown apply restraints or escalated that the force. Pressurized Explosive Force DVD 3 hours and 35 video minutes / Shaolin Temple Quan-Fa Tiger and Cobra Warrior Monk QI Meditative Pressurized Explosive Force executed in close quarter combat. Created over 2000 years ago at the Shaolin Temple for the highest level Warrior Monks inner royal guards to protect the Abbot. C.P.R.S. Control / Pressure / Restraint / Submission / executes QI meditative pressurized force that excels beyond punching, kicking, blocking, two hand chokes, ground fighting, and control techniques. Proven effective by Chicago PD especially Female Officers on the dangerous city streets. Designed for the TSA Transportation Security Administration to execute close quarter combat in 18 inch pile of aircraft. is executed to a vital area with options of taking the criminal to faint or escalating to deadly force. Prof. Dodaro’s extensive comprehensive methodology advances you through five deadly maneuvers that is the foundation for the system as there are several combinations. Law enforcement officers execute the system extremely effective as it is a natural energetic system that prevents fatigue and keeps the mind at a heightened level of alertness consistently. The four DVDs were developed to simultaneously strengthen each individual system and create supernatural immortality powers as they transfer energies to each other. This ingenious endeavor is the foundation to evolved the invisible assassin. techniques. China’s traditional military systems eliminate the enemy quickly on the battlefield as assassins assault destroying the enemies extremities. As the enemy launches the attack, the assassin executes the assault by striking the enemies arm paralyzing the peripheral nervous system that controls muscle with QI meditative explosive pressurized force. This extraordinary force penetrates destroying the bone continuing pressurized force crushing the arm into the enemy’s ribs. simultaneously in opposite directions collapsing the jugular veins, carotid arteries, and bundles of nervous instantly as the palm crushes the throat. The assassin injects the deadly poison into the carotid arteries that erupts simultaneously to the brain and heart to take the enemy to faint escalated deadly force. The explosive takedown can easily be executed with a single hand as the assassin applies more pressure to the carotid arteries, the enemy is entering a faint and slowly collapses. The assassin continues pressure with the enemy sliding down the assassin’s leg as it is vital the enemy be on his side eliminating two extremities from counterattacking. Restraints can be applied safely, quickly, and professionally as the enemy can’t counterattack or escape. On the battlefield when the assassins entered enemy camps this type of execution was vital preventing enemy from making any sounds. at the headquarters, with his successful business was impossible. others attack. This is demonstrated in the PDF manual. past 7000 years created by military generals. mind and body. 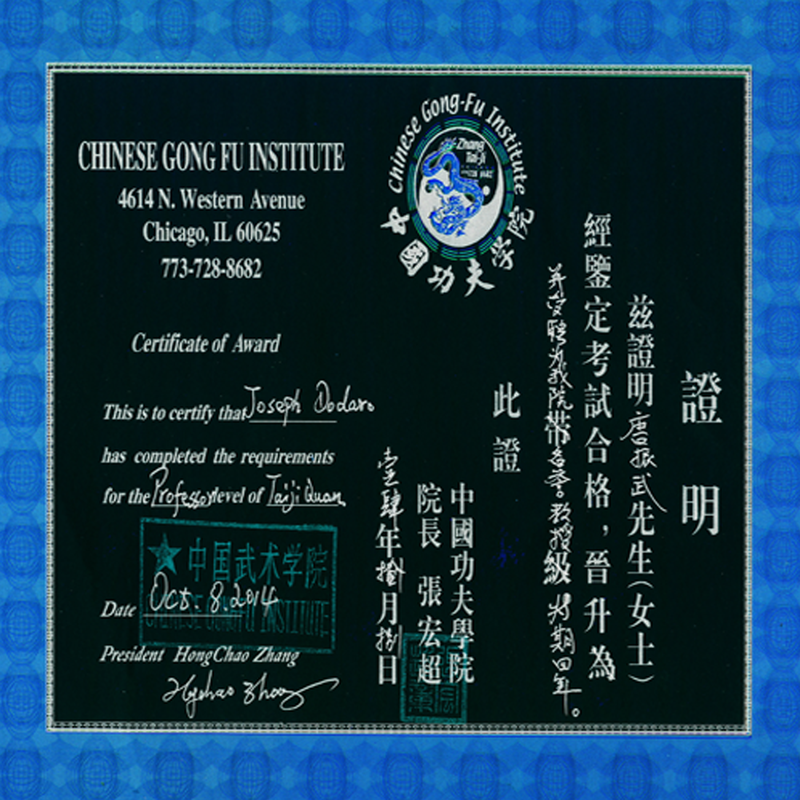 At 14 he was fortunate to discovered China’s traditional military systems of QI Gong, Taijiquan, and Shaolin the three oldest and highest level systems in the world and advanced to Prof. in those systems. Chicago PD on the dangerous City streets is strategically designed for California Law Enforcement Agencies. approved by the state of Illinois and received the highest level of recommendations by police officers at state seminars. 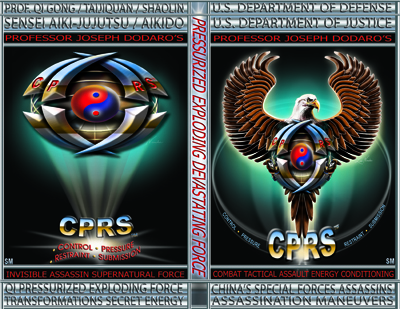 Emperors, Generals, Taoists and Shaolin Monks to the United States Department of Defense and Department of Justice. comprehensive methodology with authentic international credentials escalated tremendously.